Daffodil International University (DIU) a leading private university in Bangladesh was founded on January 24, 2002 with a vision to impart quality education to produce quality graduates who will be able to stand out among others nationally and globally. Recognized in independent government assessments as one of the top graded universities in Bangladesh, DIU today combines state-of-the-art facilities and a dynamic approach to teaching and research with its proud heritage of service and achievement. The prime objective of DIU is to create leaders in the fields of industry and commerce, science and technology, arts, as well as all other disciplines of life. We aim to raise a generation of worthy citizens in order to create a productive workforce to lead our nation out of vicious cycle of poverty. Moreover, DIU has taken the mammoth responsibility of cultivating, nurturing and mentoring the youth to turn them not only into good and ethical human beings but also in to entrepreneurs who will be able to contribute to Gross Domestic Production (GDP) of Bangladesh by generating employment. DIU has established its stunning permanent campus in Ashulia of Bangladesh covering a wide area of thirty five (35) acres of land which is now fully functional and is gradually moving towards completing its Master Plan that includes many attractive facilities for its students. DIU is also striving to establish itself as a complete Digital University, equipping its students and teachers with the latest technology and providing ICT support. To make its students effective for the global market is the goal of DIU. Daffodil International University is internationally collaborated with 23 countries. Students from 11 countries around the world are studying here. 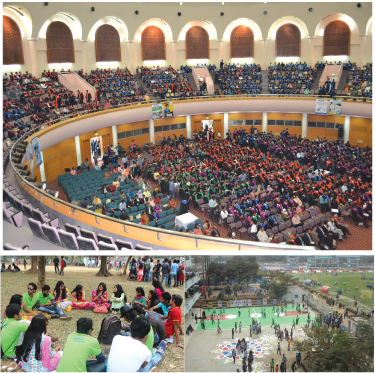 The university has academic linkage with 41 Universities outside Bangladesh. Permanent Campus: Ashulia Model Town, Ashulia, Savar, Dhaka. Ashulia Model Town, (near Uttara), Savar, Dhaka. Library: Three libraries (a six-storied Library building at Main Campus, one at Uttara campus and the other one is in Ashulia Campus) with large number of books, journals, magazines, reference books, research papers both online and hardcopy. Laboratories: There are 50 fully equipped laboratories in DIU. Hostels: Two permanent female hostels: one is at Dhanmondi & another one at Uttara. It has three male hostels also. Transport: DIU has a large transport pool, which is used by faculty, officials and students. Gymnasium:The gym has all necessary modern fitness equipment. A Pledge of a Digital University: DIU is the first complete digital university in Bangladesh for technology-based education and operation with such facilities as computer labs, education ERP and WIFI on campus. 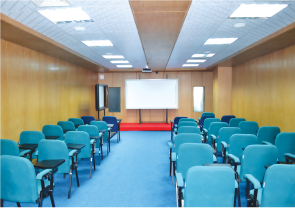 Others: International Standard Auditorium, Media Lab, indoor games, two canteens and many more.